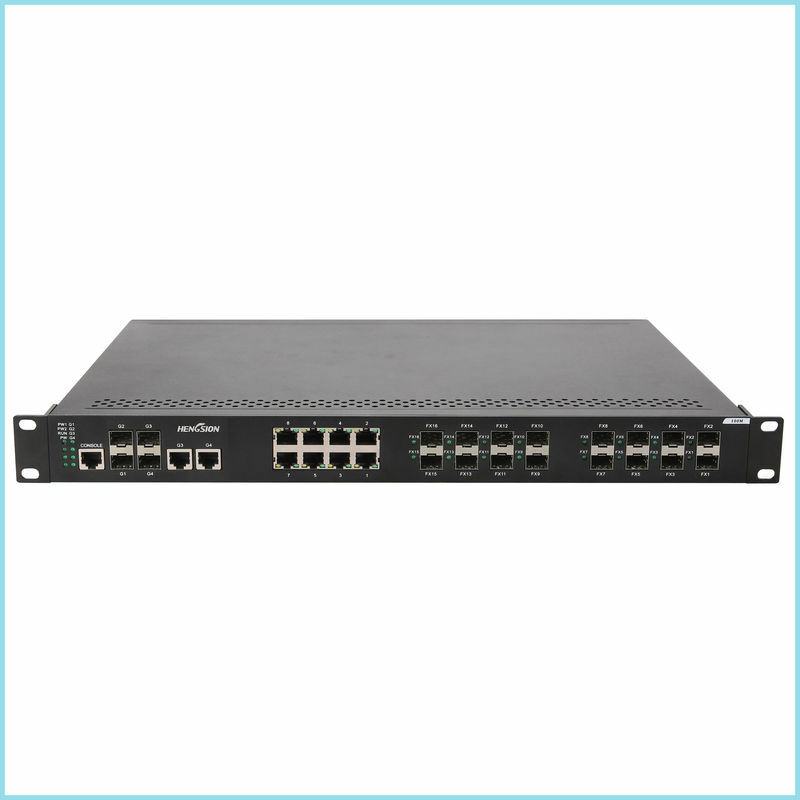 HENGSION unmanaged EIB28-8E-16S-4G-U provides 8*100BaseT(X) fast Ethernet ports & 16*100Base FX SFP fiber optic ports, 2*1000Base-X Ethernet ports, and 2 *1000Base SFP fiber optic ports. Low power consumption design; EIB28-U series’ wide operating temperature range and port surge protection design are ideal for application in large flow real-time outdoor environment, and are widely used in industrial automation control and surveillance occasions like campus, community, rail traffic, electric power control and so on. ● Support IEEE/802.3x full duplex flow control and Backpressure half duplex flow control. ● Wire speed forwarding capability of all ports make sure of non-blocking message forwarding. ● With overload protection and power reverse polarity protection. ● Support full-loaded operating temperature range -20 to 70℃.